The Height of Luxury: This $79 Chair Is Also a Bed! 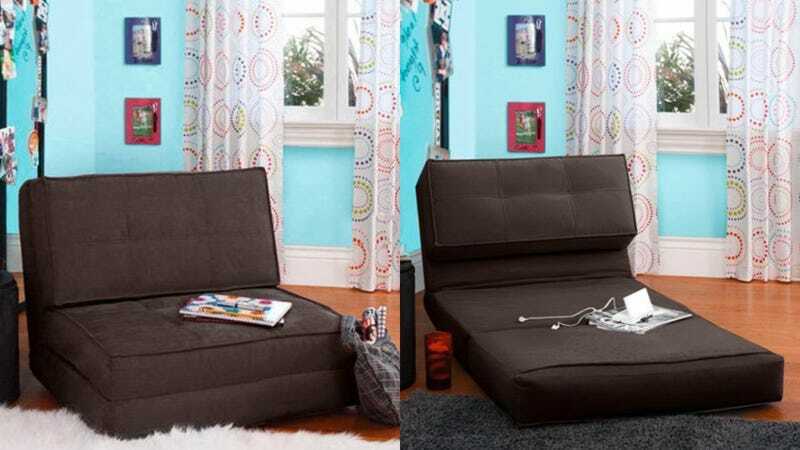 Let’s not beat around the bush here...this is dorm furniture, through and through. But if you or your kid is heading back to school soon, this $79 chair from Walmart can fold out into a makeshift bed or lounger, and they’ll ship it to your house for free. You even get to pick from a few different colors.